With the most advanced care available for a wide array of orthopedic conditions, for people of every age, Orthopedic Associates is the first choice of patients, as well as many of the area’s leading primary care physicians. That’s one more reason why URGENTOrtho℠ is the first place you should go for any orthopedic-related problems: sports injuries, fractures, sprains, dislocations, knee, back, neck, hand and upper extremities, shoulder, work-related injuries. With a highly trained staff of physicians, physician assistants, offsite physical therapists, and other medical professionals, you’ll receive individualized treatment that is second to none. All of our surgeons are board-certified and fellowship-trained in a variety of subspecialties and are skilled in the newest, minimally-invasive techniques. Complementing their expertise is our compassionate support staff who contributes to better care and a better patient experience. Every Advantage. All for your Benefit. Whatever reason you come to us, we have the resources to ensure greater continuity of care and the best possible outcome. 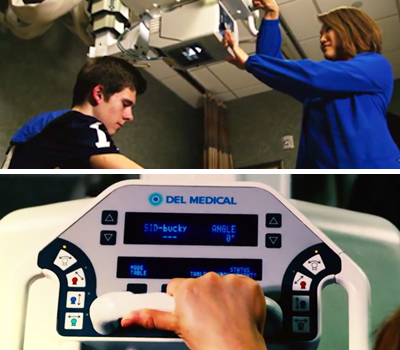 Our on-site diagnostic equipment includes the most advanced digital x-ray. Following your initial assessment and diagnosis, we offer comprehensive followup treatment. Should you require surgery, we have a fully-equipped, state-of-the-art surgery center next door. For urgent treatment of orthopedic problems, URGENTOrtho℠ sets itself apart from the local hospital emergency room. With our location at 512 Saybrook Road, Middletown (conveniently located just off Route 9), our facilities, including the expanded clinical space, are exceptionally comfortable and well-equipped. In addition to sparing you from the confusion and delays common in hospitals, we also save you from the high deductibles that insurance companies typically charge for emergency room visits. Our office contain the latest equipment and we provide each patient with the best possible, individualized treatment. When You’re Hurt, We’re Here. URGENTOrtho℠ Middletown is open five days a week – Monday-Friday, 7:30 a.m. – 8:00 p.m.
No referral is necessary. In addition to accepting most forms of insurance, including Medicare, we participate with most healthcare plans. Though you may simply arrive at any time during office hours, it never hurts to call ahead at (860) 704-6000. © 2018 Orthopedic Associates. All rights reserved. The Middletown office and Urgent Ortho will be opening at 8:15am on Wednesday, August 1st. Urgent Ortho will be closing at 5:00 pm on Thursday, August 23rd.